When the gun sounded to end Super Bowl L, much of the attention turned to Peyton Manning and his upcoming decision to continue playing or retire. Pundits waxed philosophical on where Denver’s defensive performance placed them in history and Manning’s overall legacy. However a small contingent thought of Wade Phillips and the culmination of another legacy. 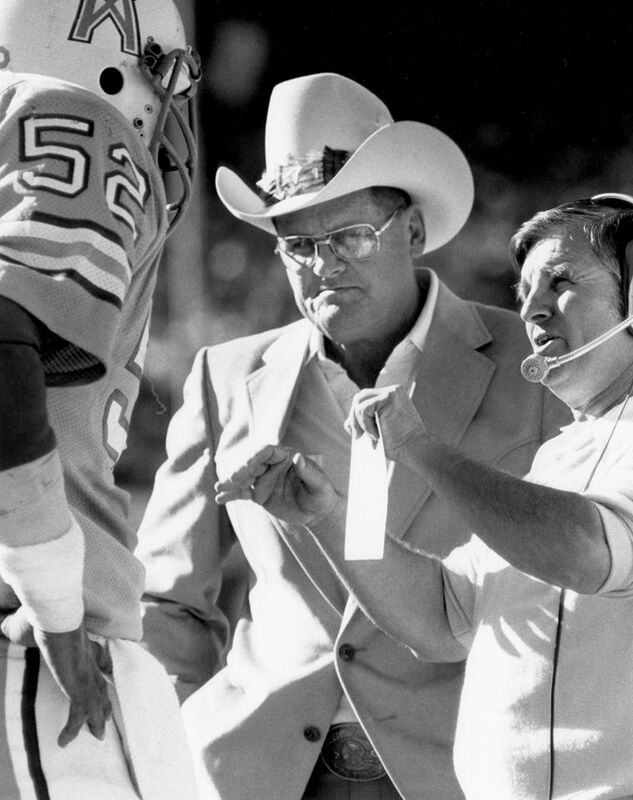 That of the coaching family he hailed from and his father…the late Bum Phillips. Coach Phillips and Eddie Biles giving instruction to standout linebacker Robert Brazile. It’s a rich legacy with Bum Phillips and the late 70’s Houston Oilers. Where a father gave a young Wade his first NFL job in 1976 coaching the defensive line. Bum had arrived the year before to resurrect a moribund franchise that hadn’t made the postseason in nearly a decade. Aside from back to back AFL championships in 1960 & ’61, the team mired in mediocrity without any players of distinction. In an era where most NFL coaches were still emulating the status quo fire and brimstone approach of a Vince Lombardi or a Don Shula, Phillips was more of a player’s coach. Opting for reasoning and taking more of a personable approach, Bum got to know his players and was known for having laid back practices. Phillips was one of the first to employ the 3-4 defense as a full time tactic which the Miami Dolphins had made famous during their Super Bowl years in the early 70’s. Shula and Bill Arnsparger used the defense part time to maintain an edge when they were ahead. It was actually a variation of the old Oklahoma 5-2 of the 1950’s however the defensive ends were replaced with quicker outside linebackers. To make it lethal the Oilers drafted Robert Brazile to man the weakside linebacker spot. He was a 5 time all pro between 1976 and 1980 along with his defensive rookie of the year award. He was the prototype size and speed of the 3-4 outside linebacker the Giants made famous 5 years later with Lawrence Taylor. 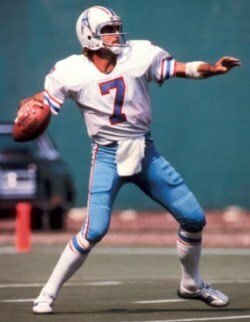 He was the focal point to a defense that led the Oilers to a 10-4 record in ’75 where they narrowly missed the playoffs. In ’75 QB Dan Pastorini and WR Ken Burrough each made the Pro Bowl. However over the next two years the offense bogged down without a serious running threat. They struck gold in 1978 when they drafted Heisman Award winning running back Earl Campbell out of Texas. Now they had a focal point on the offensive side of the ball. A one man wrecking ball that punished defenses while toting the rock 30 times a game. Having to look up in the AFC Central standings to the perennial champion Steelers, the Oilers seemed to be ready to make their move. 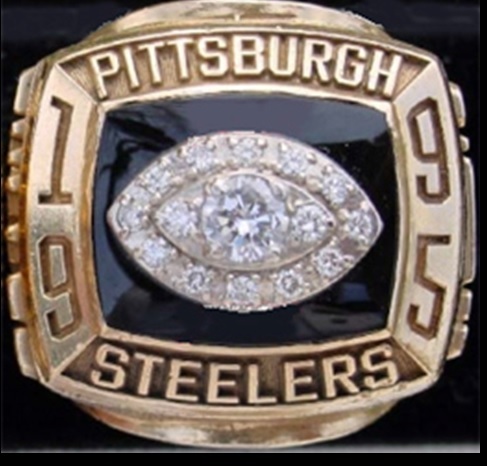 They finished 2 games behind the Steelers in ’77, yet it looked like Pittsburgh had come back to the pack having failed to reach the AFC Championship for the first time in 4 years. The NFL was abuzz with the exploits of Campbell, who was leading the league in rushing, and the state of Texas seemed to be gravitating to this new team on the block. Midway through the ’78 campaign, winners in 4 of their last 5 including a 24-17 win in Pittsburgh, the Oilers played their signature game of the era. A Monday Night match-up with Don Shula’s Miami Dolphins. 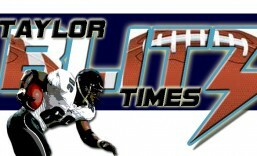 This Monday Night matchup would become the showcase where the Oilers proved they belonged among the NFL’s elite. Also it would solidify Earl Campbell’s chances to win rookie of the year honors. After all he came into this week 12 contest with 944 yards rushing. In one of the transcendent games of the ’70’s the Oilers prevailed 35-30. Campbell became the first rookie to lead the NFL in rushing (1,450 yds) since Jim Brown in 1957. The Oilers finished 10-6 to make the playoffs as a wild card. There they beat the Dolphins in Miami 13-7 and beat New England 31-14 to make it to the AFC Championship Game. There they fell to the eventual Super Bowl champion Steelers 34-5 who taught them how far they had yet to go. Yet make no mistake… with the strides they made in 1978 it looked like ’79 would be their year. The verve and spirit were still there the following season yet this team had the weight of expectation upon them. Campbell again led the league in rushing with 1,697 yards and 19 TDs. They stood toe to toe and slugged it out with the Steelers for supremacy of the AFC Central and wrested control with a 20-17 win in week 15. However a loss in the final week gave the Steelers (12-4) the division and the Oilers would have to go in as a wildcard at 11-5. A shadow of doubt crept in as the Oilers were right back where they had been the season before. Except this time they would have to play the AFC Divisional against the high flying San Diego Chargers. In the wild card round they lost QB Pastorini, Campbell, and WR Burrough. Without their top passer, rusher and receiver they had to face the #5 defense to go along with San Diego’s #1 offense on the road. What would happen?? In The Chancellor of Football’s estimation, Oiler Safety Vernon Perry turned in the greatest defensive performance in NFL history. Perry wound up making 8 tackles while grabbing a playoff record 4 interceptions and blocking a field goal returning it 57 yards. The Oilers needed every one of these plays to escape with a 17-14 upset. One of the biggest in NFL playoff history. Sentiment finally came full circle when the refs admitted to the blown call in private but the company line was towed publicly. On that day, a young Chancellor learned about momentum and why the ’79 Championship was tainted by the referee’s blown non call. The officials weren’t allowed to view instant replay in the stadium where we at home clearly saw Mike Renfro in. It lead to a rule change when six years later instant replay was instituted in the NFL. However that was too late for the Oilers who fell 27-13 that day in which they were clearly cheated. It cast a pall on a day when it seemed as though the game wasn’t settled on the field. To make that call even more painful, the Oilers never threatened for a Super Bowl again. The following season saw the Oilers deal away starting QB Dan Pastorini for the late Kenny Stabler in an attempt to “kick it in.” This was the adopted slogan for the 1980 season to finally kick the championship door open and make it to the Super Bowl. Ironically it was Pastorini who won a Super Bowl ring as an injured member of the ’80 Oakland Raiders. 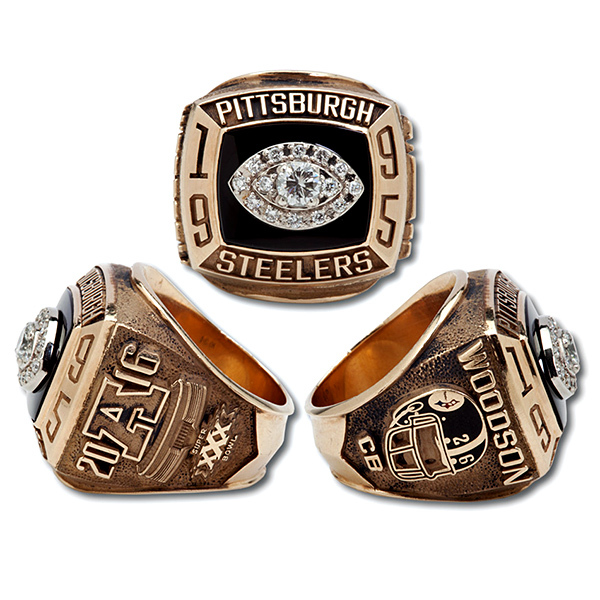 In a twist of fate, their first postseason step was a 27-7 win over Stabler and the Oilers in the wildcard round. It was the last hurrah as 3 losing seasons followed. Bum Phillips had been dismissed in the aftermath of the ’80 Wild Card loss to Oakland. The magic was gone and an era of “Luv ya’ blue” faded into lore. An improbable team with the unlikeliest of characters is still revered in a city where the Oilers left to become the Tennessee Titans, and a new Houston team occupies the city. However the heart of the city of Houston will forever remain with that team of the late 70’s. When you talk about the Bengals when the season began, everyone would scoff “wait til’ the playoffs.” That held true for the team and certainly Andy Dalton. Now here we are again and Dalton has his thumb in a cast. The Bengals have to place their hope on back-up AJ McCarron. 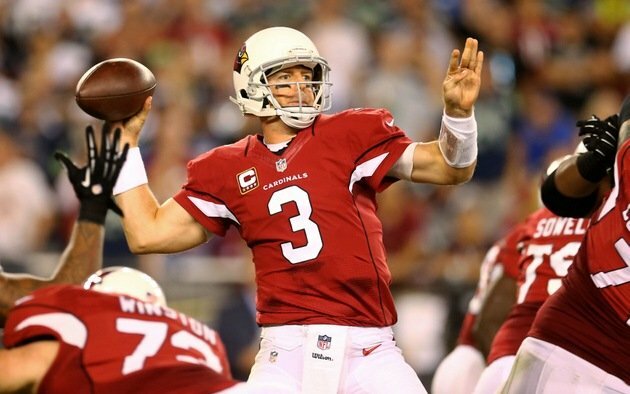 Almost 10 years to the day that Kimo Von Oelhoffen knocked Carson Palmer out of the 2006 wildcard, again they get to face a back-up in the playoffs. Ironically Pittsburgh knocked out Dalton late in the regular season. Now they are missing DeAngelo Williams who injured his ankle in the season finale. Can AJ McCarron throw caution to the wind and look long for AJ Green (86 rec. 1,297 yds 10 TDs). Pittsburgh’s defense is 21st overall and 30th against the pass. In previous playoff games Dalton played way too cautious. They need to run solid between the 20s with Giovani Bernard and Jeremy Hill and take their shots for touchdowns when they get in close. No Dalton playoff checkdowns. McCarron needs to be daring. The shifting point is the loss of DeAngelo Williams. He had more than adequately replaced LeVeon Bell with 997 yards rushing and 11 touchdowns. 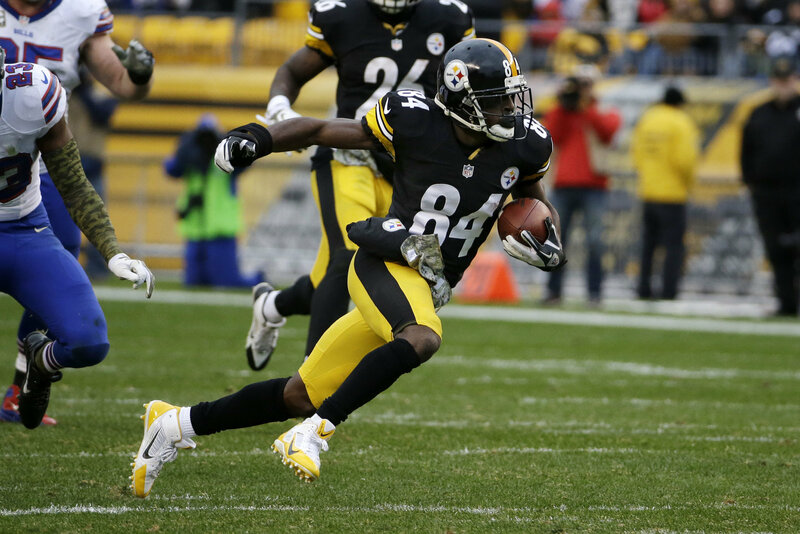 The full dimension Steeler offense that streaked down the stretch now has questions. 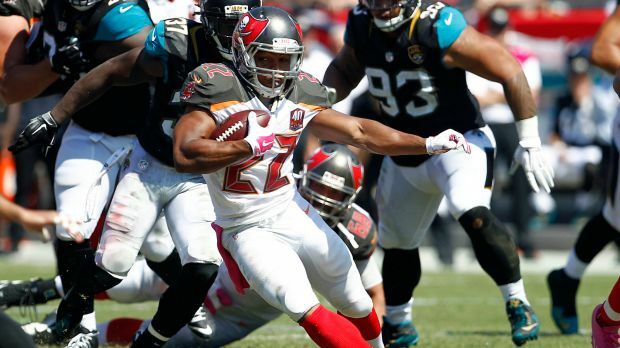 Can RB Fitzgerald Toussaint (who?) keep the Bengal defense honest? Cincinnati’s defense is 7th against the run and 20th against the pass. In this game Ben Roethlisberger is going to be the difference. He challenged Martavis Bryant (50 rec. 765 yds and 6 TDs) and we’ll see how he responds. With 2 Super Bowl rings and a 3rd appearance, Roethlisberger’s mettle is what you can hang your hat on. Bryant needs to come up big because the Bengals will be paying most of their attention on MVP candidate Antonio Brown. With 136 rec. 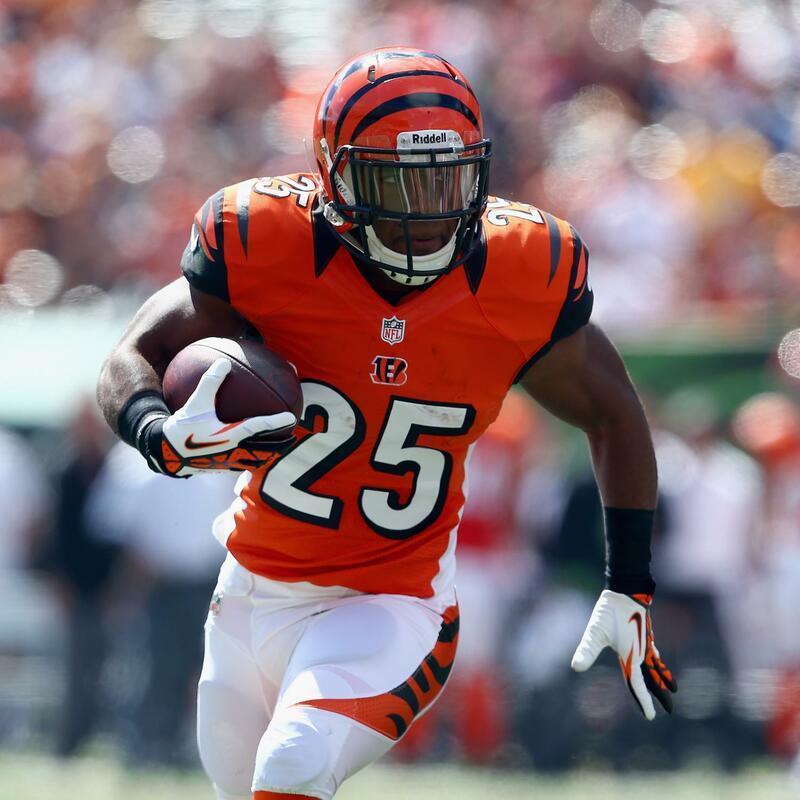 1,834 yards and 10 touchdowns, he has to be the focal point of the Bengals coverage schemes. In the end… you have to go with Big Ben and that passing game in a 27-24 game. It will be close but the Steelers will win. Every NFL season takes on its own unique shape. With so many moving parts between player movement, player maturation & coaching changes, the landscape doesn’t change every year..it changes every week. By the time we sprinkle injuries in this cauldron it’s nearly impossible to forecast. This is what makes NFL football great. 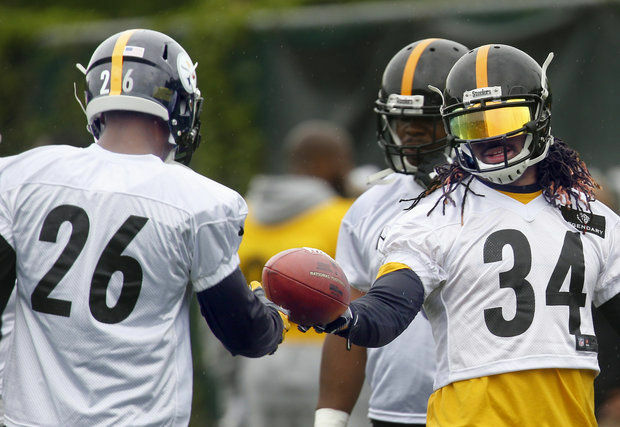 Bell and Williams will power the Steelers in 2015. Take the Pittsburgh Steelers for instance. Coming into the season they had to figure how to get through the first few games while LeVeon Bell served a 2 game suspension. With a defense being rebuilt they would have to lean on one of the NFL’s best offenses for success in 2015. Insurance policies were signed in former Carolina RB DeAngelo Williams and former Falcon / Eagle QB in Michael Vick. Williams paid off handsomely with 206 yards rushing and 3 TDs, which is good enough for 6th in the league going into week 4. Now they have a 1-2 punch that is second to none with Bell’s return. 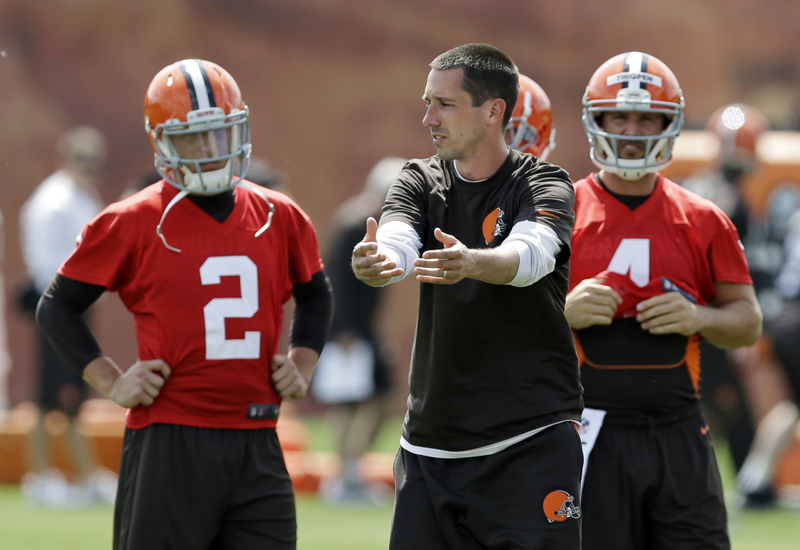 In Cleveland its as if Head Coach Mike Pettine is trying hard to look for work next year. The upside to Josh McCown is he is a journeyman quarterback that will minimize mistakes. The downside is he is not a playmaker that can win you games. Just as he did with his game ending interception to Charles Woodson in their 27-20 loss to Oakland last week. It’s time to play Manziel and see what you have. If the Browns can’t turn it around they could be looking for a new Head Coach and quarterback next season. Like it or not Mike Pettine, your job’s future lies in the success of this 2015 campaign. Especially in a down year for the division, better to tie it to a playmaker like Manziel than a losing game manager like McCown. Coming in with the NFL’s 2nd best offense and 12th ranked defense is the 3-0 Cincinnati Bengals. The conversation for the Bengals is the same as the last few years. They beat the teams they should beat and come up empty against the best the AFC has to offer. The combined record of the Raiders, Chargers, and Ravens was 3-6 before Thursday Night’s game. We’ll talk about this team in 3 weeks when they host Seattle then go on the road to Buffalo. They come through that 2-0 we have something to talk about. The Baltimore Ravens won last night to earn their first win of the season. However it isn’t a season saving victory as many of the t.v. pundits would have you believe. The Pittsburgh Steelers lost that game last night due to terrible kicking with Josh Scobee and even worse play calling late in the 4th quarter. Justin Forsett broke out with 150 yards rushing but the Steelers have given up 373 yards on the ground in the last 3 weeks. This team has middle of the road rankings offensively and defensively and new playmakers have to emerge on the defensive side of the ball. Thanks goodness they get to play against Cleveland next week, especially if Pettine stays the course to get fired starting McCown. After that they go on the road to San Francisco and Arizona. The 49ers aren’t as strong as they once were for certain. However neither were the Oakland Raiders and Denver Broncos as the Ravens started 0-2 on the road traveling west. These next few weeks will definitely tell the tale. Before we get into the heart of this conversation, The Chancellor of Football is going to take you back to a simpler time. The year was 1999 and the St Louis Rams were gearing to take on the NFC West bully on the block San Francisco 49ers. The Rams won the 1st game of the 1990’s between the two then lost the next 17 straight. 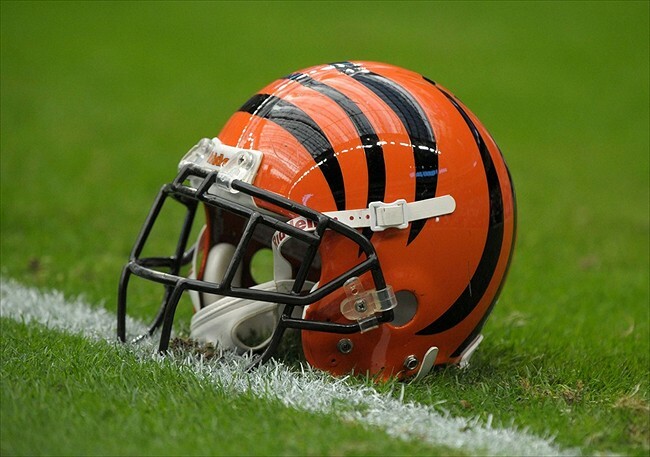 They were the laughingstock of the league and beating the Bengals, to go 3-0 broke the tie between St Louis and Cincy as to which team had the most losses in the decade. For the Rams to be taken seriously, they had to beat their long time division bully. A young Chancellor of Football explained to my friend Allan Kennedy – if the Rams can win this game they will make the playoffs. If they beat them handily they can make it to the Super Bowl. He looked at me as though I was crazy. When a team builds and the animosity permeates the entire roster, when its good enough, it goes looking for that bully. Do you realize with a win today Buffalo will have beaten the two teams that faced off in last year’s AFC Championship Game?? This is what sits before the Buffalo Bills today as they take on their nemesis in the New England Patriots. The confidence gained from knocking down a conference heavy is what cements a team on the rise. In 1980 the Bills beat the Dolphins for the first time after losing all 20 games to them in the 1970’s. They made the playoffs andnearly the AFC Championship Game. The Indianapolis Colts will win the South but Andre Johnson looks extremely slow in a Colts uniform. They need to establish Frank Gore and gain some physicality on the offensive side of the ball. Luck is a growing quarterback but struggles against Defensive Coordinators that give different looks. Do they have enough defense to get to Super Bowl L? Phillip Rivers will have a great 2015. The team that is growing steadily is the San Diego Chargers under Mike McCoy. Phillip Rivers and his Charger teammates in the past have played up and down to their competition. This is the year they break the hex the Denver Broncos have over them and win the division. 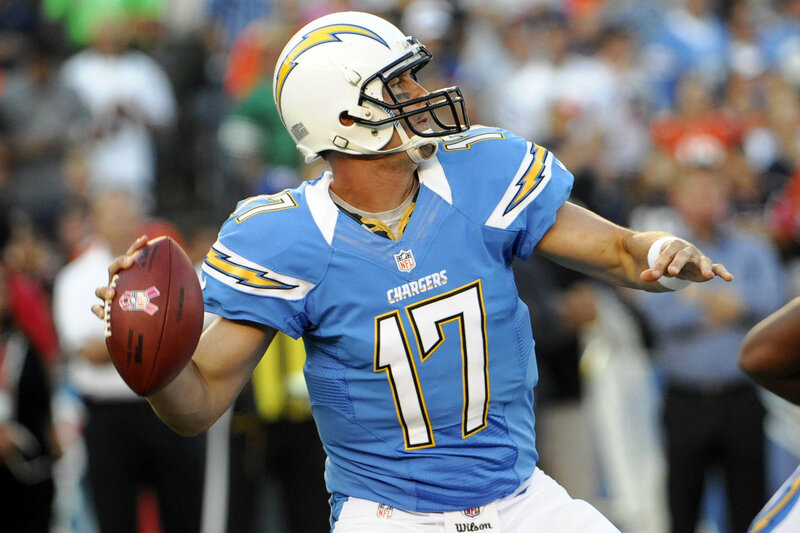 Last year Rivers threw for 4,286 yards 31 touchdowns and just 18 interceptions. Once they can get rookie Melvin Gordon running the football and Antonio Gates back from suspension, this team could be 3-1. They fielded the NFL’s 9th best defense and added Jacoby Jones to bolster their return game. Their solid at every position on their roster now the young talent needs to mature and Rivers can’t have down games. He’s 33 now and a veteran that should put it all together this season. The AFC is wide open this year and the Steelers and Patriots have serious deficiencies on defense. These units will grow and mature but not in time to to serious damage this season. Malcolm Butler is a Super Bowl hero but he got torched by Brown of the Steelers in week 1. If corners Brandon Browner and Darrelle Revis gave the Pats a championship pedigree defense, then losing them reduces them to the latter half of the league. Taylor is prepared to lead the Bills into the playoffs. Which brings us back to the Bills who return the 4th best defense in football. Rex Ryan the season before had the 6th best defense when he ran the New York Jets and the Bills have better personnel. Now that DT Marcell Dareus is back to join Mario Williams this team can be lethal if they can play with a lead. They will finish as the #1 defense and have a stable of backs. 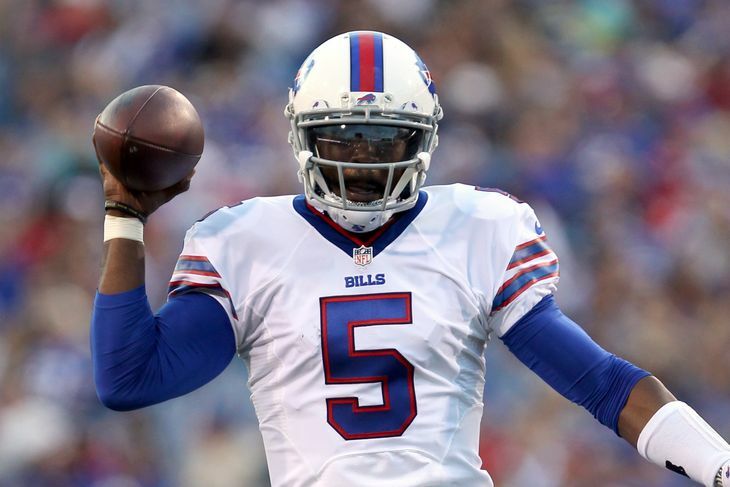 LeSean McCoy and Percy Harvin are the wildcards to keep Tyrod Taylor from feeling like he has to make all the plays. Rex will play him like the AFC version of Russell Wilson. If you get through the first two reads and aren’t comfortable, take off for 5 yards. Ryan used the formula of power running, solid defense, and a quarterback minimizing turnovers and made it to back to back AFC Championship Games in 2009 and 2010. That was with a rookie in Mark Sanchez at quarterback. Tyrod Taylor has a Super Bowl ring from his days in Baltimore as he learned the NFL going against the Ravens defense in practice. he is not overwhelmed and will do fine. Tyrod Taylor celebrating at the end of Super Bowl XLVII. As for the intro?? The St Louis Rams blew out the San Francisco 49ers in that 1999 match-up 42-20, went on to sweep them for the season and won Super Bowl XXXIV. 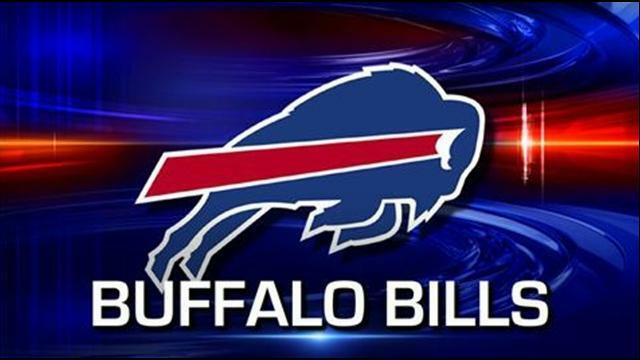 Buffalo will win handily today over New England. 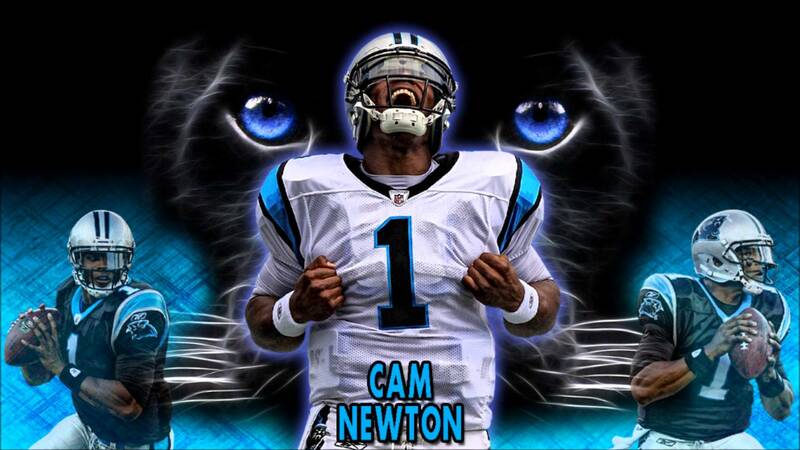 If they can get to Super Bowl L as The Chancellor of Football thinks…. they’ll run right into a former Buffalo Bill playing running back for the NFC Champion.